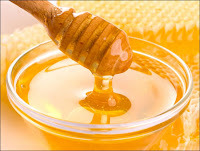 Madison Coupon Connection: Rare Sue Bee Honey Coupon! We sure don't see coupons for honey very often...but here's our chance to save $0.55 on ONE bottle of Sue Bee Honey! Just visit the Sue Bee Honey webpage, and click the word "Coupon" at the top to be able to print your $0.55/1 coupon! You should be able to print this coupon twice!